We'd Love to hear from you. Maybe send us some feedback on the site, ask a question, or just say hello. Thanks for all the assistance. Your support was exceptional . I am all set as a registered nurse in Australia. Australia is a young, vibrant and friendly country in which students can live, learn and grow. So if you want a quality education and a good lifestyle, Australia's the place to be. Australia is an amazing place for students to study and is one of the top desired places to study aboard. The Australian education system has a strong international reputation and is known for its effective structure and innovative policy developments. Many other countries, eager to improve their own education systems, turn to Australia for advice. Australia also provides a high quality of life, excellent education and health system, stable economic and political environment, freedom of cultural and religious expression, technologically advanced infrastructure and transport system. From it's international reputation for academic excellence to it's affordable tuition and living expenses Australia has a lot to offer international students. By obtaining a student visa, you will be entitled to work rights of up to 40 hours a fortnight when the course is in session. Student visas also permits to work unlimited hours during scheduled course breaks. Together, this arrangement provides opportunity for student visa holders to earn while they learn. International students also procure the possibility of obtaining scholarships from Australian government, Universities and Organizations for various courses. • Perfect weather for travelling, exploring – and studying! As an international student in Australia, gaining work experience, either through part-time, casual or voluntary work, will benefit you. Work experience in your academic discipline in particular is an advantage to employers who tend to look for more than academic ability in their future employees. • can give you a realistic view of a possible career path. 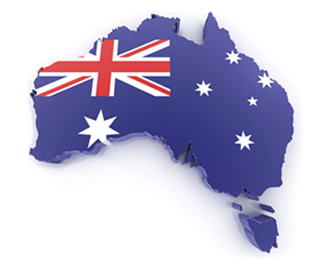 By successfully completing a course in Australia, you may be eligible to apply for temporary or Permanent Residency in Australia .